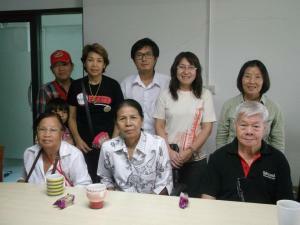 PPT has received information regarding several solidarity activities for the victims of the lese majeste law. The first involves the Launch of the Network of Family Members and People Affected by Article 112. The official launch involves two events on 5 and 7 July 2012. The 5 July event is the issue of a press release to the international media at 10:30 AM at the Foreign Correspondents’ Club of Thailand. The event for the local audience will involve a press release following a seminar at the 14th October Memorial, Ratchadamnern Avenue. The seminar begins at 1 PM and is titled “Open the prison doors for our 112 friends.” The event should conclude about 3.00 PM. A second event is the launch of a new book about Somyos Prueksakasemsuk that came out on 16 June. 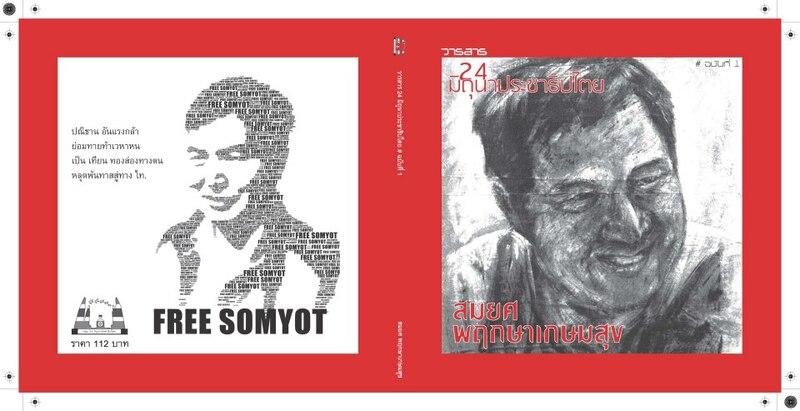 The book is in Thai and contains stories about Somyos and his work by his friends and colleagues across the world. Third, Somyos and his lawyers are about to make his 10th bail application. PPT urges continued support for him by signing the online letter calling for the his release of Somyot and right to bail. Sign on for the campaign here. The KnowingBuddha Foundation is preparing a major march in Bangkok on 30 June, to show their respect for Buddha and to show how so many are disrespecting Buddha. The KnowingBuddha Foundation is preparing a Buddhist March – the first time in history – on 30 June, in one of the Bangkok’s most famous streets, Khao San Road, to speak out against the improper usage of Buddha’s image in the modern world. The March will contain signs to show that Buddha is their father religion, and they will show how the world should treats Buddha with a variety of signs. The high light of the March will be the enormous size signs depicting “Enough” on the Buddha Bar picture also the sign “No!” on the Disney movie “Snow Buddies” which use Buddha’s name as a Dog. 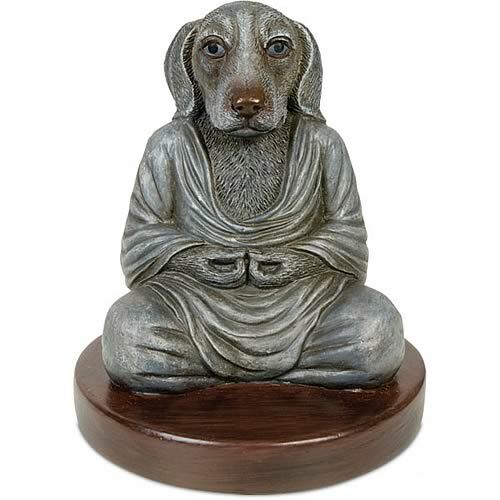 Reportedly, there are many others business who using Buddha’ images in commerce, and this will be reflected in the march. The KnowingBudda organization’s purpose of the march is to improve awareness in the world, about how not to treat Buddha’s images and name improperly. The KnowinBudda organization is non-profit charity, based in Thailand. Mrs Acaharavadee Wongsakon, the foundation president, indicates that Buddha is the prophet of their religion and that it’s fairly common that people should give respect to Buddha like other religious leaders – but if not, there should be no disrespect. The organization notes that the Buddha Bar is the worst example that they have come across of shameless disrespect that encourages the world to follow their path. They urge them to stop using his name and symbol in their business.At the same time, the organization asks Disney to ask o stop using Buddha as a dog’s name in their movie. The KnowingBuddha foundation, indicates that the world have gone too far on these matters, but they have just started their work, and we will persist until the world is no longer using Buddha’s image improperly. Please stop seeking more suppressive measures against individuals, web sites, and the peaceful expressions of ideas. Please consider suggestions to reform the lese majeste law to prevent further abuses and to prevent the possibility of further damage to the international reputation of Thailand and the monarch. Please consider taking action to withdraw the current lese majeste charges, and working to secure the release of those already convicted under the lese majeste law. They are charged for expressing their ideas. This should not be a crime. Three years later, the law remains the same, but debate over 112 has only deepened and widened. The number of cases has shot up. There seems to be no appetite for amendment of the law despite several petitions and much criticism both within and outside Thailand. Yet the law is increasingly an emotional and politically explosive fault line. Three years on, Andrew Walker and Thongchai Winichakul will speak at the FCCT again via video conference, to review what has transpired since, and assess what may lie in store in the future. Dr Chaichana Inkawat, professor of the Faculty of Political Science at Ramkhamhaeng University. A graduate of Thammasat University and a Fulbright Scholar to Cornell University, Dr Chaichana has been faculty at Ramkamheng University for almost four decades. He is also a regular political contributor to independent and state-owned current affairs programmes in Thailand. Chiranuch Premchaiporn, director, Prachatai.com, found guilty with a suspended sentence recently, under the Computer Crimes Act for not removing allegedly lese majeste comments from the website quickly enough. Ms Chiranuch is the winner of the International Women’s Media foundation’s 2011 Courage in Journalism award. Reservations: To ensure sufficient food for the buffet, we would greatly appreciate your making a buffet reservation at least one day before the program if you plan to join us for the dinner. (No penalty for cancellation if last minute conflicts arise.) Please also note that tables/seats will be reserved only for those with advance buffet bookings. To reserve, please call 02-652-0580-1 or click here to send an e-mail to info@fccthai.com . A highly anticipated and interesting panel discussion on Thailand’s draconian lèse majesté law will take place on Thursday with a very illustrious panel hosted by Siam Voices contributor Lisa Gardner, featuring academic Benedict Anderson, Thai columnist Pravit Rojanaphruk, social critic Sulak Sivaraksa and former Reuters correspondent Andrew MacGregor Marshall, who became (in)famous for his articles about the WikiLeaks cables on the Thai monarchy and will therefore only be there via Skype. The timing of this event is particularly interesting, since it takes place in the light of several cases that involve the lèse majesté law and have severe implications on Thailand’s constantly declining freedom of speech, such as the death of “Uncle SMS”, the lèse majesté complaint filed against Pravit (would be interesting to hear from him about this), the blatant misuse against the National Human Rights Comission and the sentence against Prachatai webmaster Chiranuch Premchaiporn held responsible for not deleting insulting web comments quickly enough. I will be taking question from Twitter for the panelists, so tweet me tomorrow directly @Saksith or with the hashtag #LMRD. Best known for his celebrated book Imagined Communities and scholarship which has been translated into over 20 different languages in some 400 publications globally, Prof. Anderson is widely regarded as an senior authority on the questions of nationalism, authority and society. Prof. Anderson serves most recently as Emeritus professor of International Studies, Government and Asian Studies at Cornell University. One of Thailand’s most esteemed journalists and as senior writer for The Nation, Mr. Pravit Rojanaphruk has proved, over the course of his long-standing career, both meticulous and prolific in his coverage of political affairs. Mr. Rojanaphruk has often withstood great political pressure in order to document human rights abuses across the country, no less the plight of political prisoners and prisoners of conscience. His work continues to set new standards in ethical and independent Thai media coverage. Andrew MacGregor Marshall is a freelance journalist based in Asia who work speaks to politics, human rights, political risk and media ethics. In his long-standing career at Reuters Mr. Marshall covered political conflicts from over thirty-six countries, in places as diverse as Iraq, Afghanistan and the Palestinian Territories, to Cambodia, Thailand and East Timor. In June 2011 Mr. Marshall resigned from Reuters in order to publish what he considered one of Thailand’s most important and necessary stories. This has since become the epic ‘Thai Story: A Secret History of Modern Thailand’, an online publication since banned from publication in the Kingdom. The material draws upon an extensive collection of diplomatic cables (‘Cablegate’) released to Wikileaks in 2010, and an impressive array of historical and contemporary sources to produce one of the country’s most illuminating – and, in some cases, condemning – assessments of contemporary Thai political affairs. As a result of Thailand’s harsh lèse-majesté, defamation and computer crimes laws, which criminalize the pursuit of truth regarding some of the country’s most powerful figures, Mr. Marshall will be unable to join us in person for this discussion. Instead, he joins us via Skype from Singapore, where he is now based. Sulak Sivaraksa is a prominent and outspoken Thai intellectual and social critic. He is a teacher, a scholar, a publisher, an activist, the founder of many organisations, and the author of more than a hundred books and monographs in both Thai and English. Lisa Gardner is an Australian freelance journalist based in Bangkok. Her extensive reports speak to key political events in light of a new and innovative era for online media, particularly in the pursuit of free expression and human rights. Her well-regarded reports are published widely on Asian Correspondent, Prachatai, World Pulse, Global Voices Online and elsewhere. Take off your shirt and join with open mind TNN’s seminar to discuss govt’s recent Web censorship. Thai Netizen Network wishes to affirm our Internet as a medium of understanding not conflict. The answer is not drifting in the wind. But at the end of inches. (Not end gun) of us all. Thursday, May 13, 2553, noon to five pm (13:00 to 17:00 pm). For additional information, please contact 089-123-2296.